"Serial MRI of 20 patients treated with the decompression table shows in our study up to 90% reduction of subligamentous nucleus herniation in 10 of 14. Some rehydration occurs detected by T2 and proton density signal increase. Torn annulus repair is seen in all." Eyerman, Edward MD. Simple pelvic traction gives inconsistent relief to herniated lumbar disc sufferers. Journal of Neuroimaging. Paper presented to the American Society of Neuroimaging, Orlando, Florida 2-26-98. See what the research has to say!! Join Our Insider's Group And Get Our FREE Report: "9 Characteristics To Look For In A Chiropractor"
"Eighty-six percent of ruptured intervertebral disc (RID) patients achieved 'good' (50-89% improvement) to 'excellent' (90-100% improvement) results with decompression. Sciatica and back pain were relieved." "Of the facet arthrosis patients, 75% obtained 'good' to 'excellent' results with decompression." C. Norman Shealy, MD, PhD, and Vera Borgmeyer, RN, MA. Decompression, REduction, and Stabilization of the Lumbar Spin: A Cost-Effectiv eTreatment for Lumbosacral Pain. American Journal of Pain Management Vol. 7 No. 2 April 1997. "Results showed that 86% of the 219 patients who completed the therapy reported immediate resolution of symptoms, while 84% remained pain-free 90 days post-treatment. Physical examination findings showed improvement in 92% of the 219 patients, and remained intact in 89% of these patients 90 days after treatment." Gionis, Thomas MD; Groteke, Eric DC. Surgical Alternatives: Spinal Decompression. Orthopedic Technology Review. 2003; 6 (5). "All but two of the patients in the study improved at least 30% or more in the first three weeks. ""Utilizing the outcome measures, this form of decompression reduces symptoms and improves activities of daily living." "Distraction results in disc rehydration, stimulated extracellular matrix gene expression, and increased numbers of protein-expressing cells." Spinal Decompression Therapy "...allowed imbibition and complete reduction of the visualized herniation." "Spinal decompression therapy provided an effective means of treatment for this patient's symptoms resulting from discal herniation (extrusion) with associated impingement of the adjacent nerve root." "MR imaging proved to be a useful and non-invasive technique in monitoring the efficacy of decompression therapy as it applies to this case." 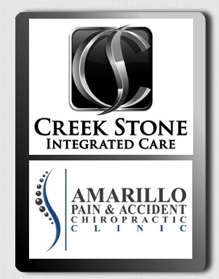 "Decompression of the spine proved to be superior to the other forms of conservative care when applied to our patient. The patients' results were both subjectively favorable and objectively quantified." Treatment of an L5-S1 Extruded Disc Herniation Using a DRX-9000 Spinal Decompression Unit: A Case Report. Terry R. Yochum, DC, DACBR, Fellow, ACCR, and Chad J. Maola, D.C. Chiropractic Economics, Vol 53: Issue 2.